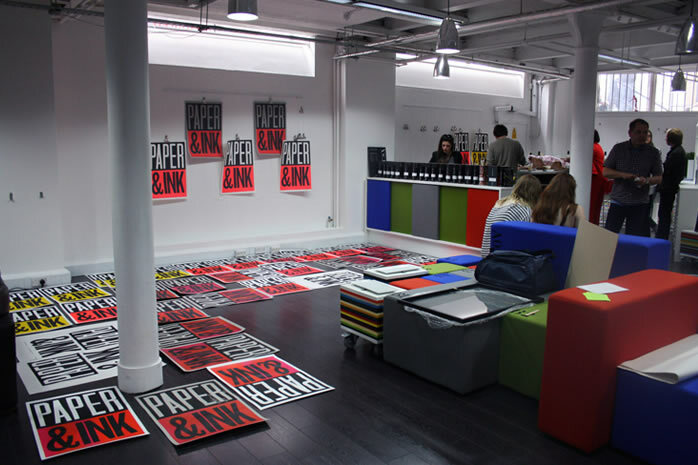 The Parent team was exclusively invited to join People of print and Fedrigoni to celebrate moving into their impressive new show rooms at Clerkenwell House. 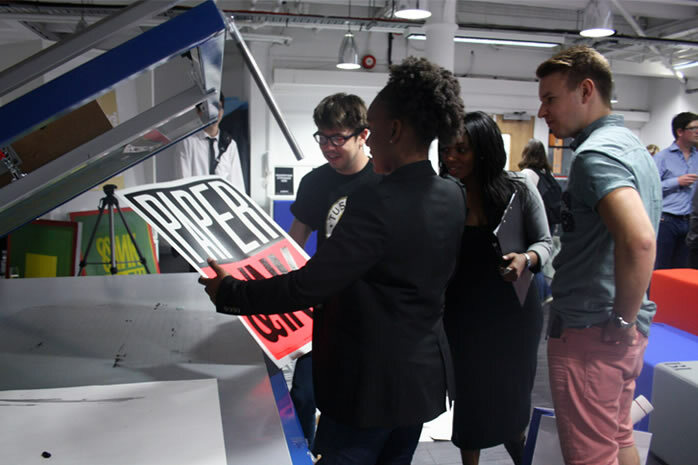 Calling upon the incredible Anthony Burrill to create a striking poster the event celebrated the new Fedrigoni ‘Materica’ paper exploring how it can be used through the application of print. 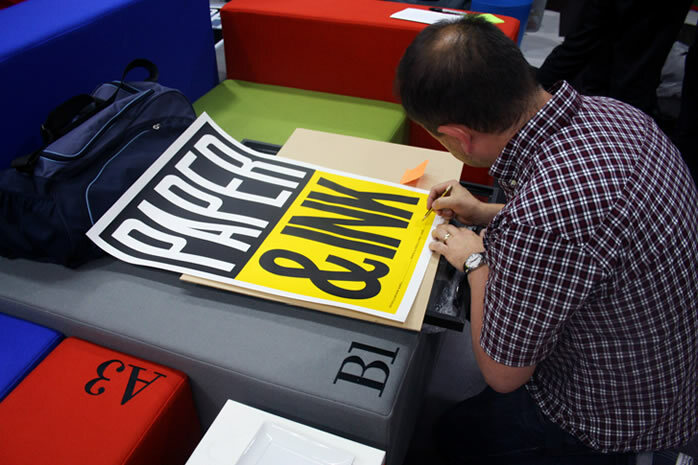 The exciting event saw a huge influx of different design, print and media professionals marvel over Burrill’s fantastic artwork and we were given an opportunity to experience and interact with the process of screen printing. 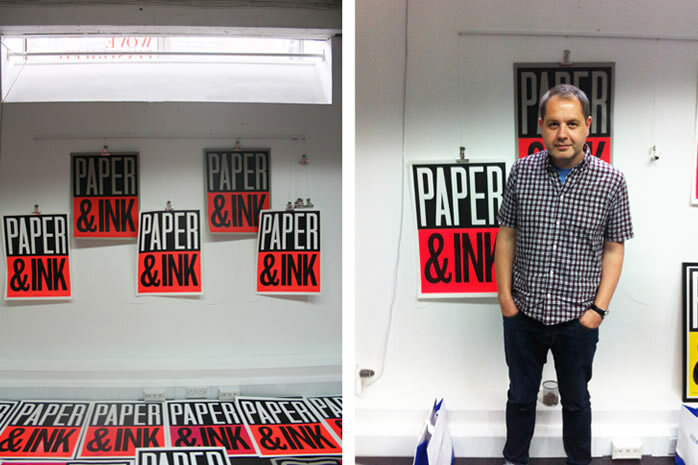 Anthony Burrill in-front of his limited edition print 'Paper and ink' specially commissioned for the event. Fedrigoni&amp;#039;s impressive new show rooms at Clerkenwell House.